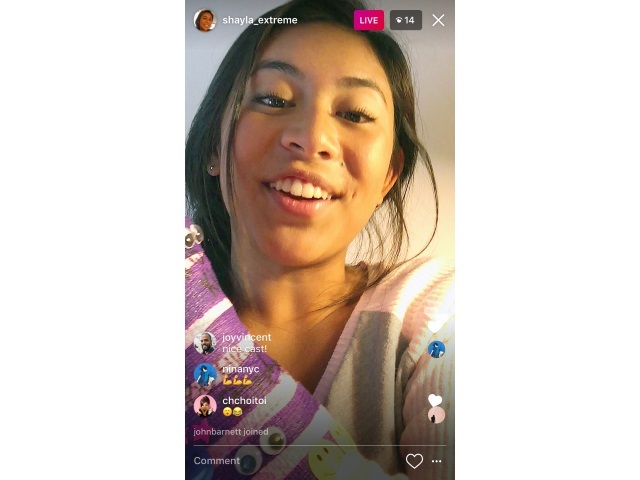 Instagram announced two major updates Monday morning: live video in Instagram Stories and its latest nod to Snapchat, disappearing photos and videos in its Instagram Direct messaging feature. Meanwhile, disappearing photos and videos for friends and groups via Instagram Direct will begin rolling out globally Monday, and Instagram said in its blog post that Instagram Direct now has 300 million monthly active users, up from 80 million last year. Swipe right into the camera to take a photo or video, and then tap the arrow to send it privately. You can choose a group or create one in just a few taps–and you can also send to individual friends at the same time. Send anything you want, from inside jokes to your worst selfies. Unlike other messages in Direct, these photos and videos disappear from your friends’ inboxes after they have seen them. And you’ll see if they replayed it or took a screenshot. To open your inbox, tap the new paper airplane icon at the top right corner of your feed or swipe left. You’ll see disappearing photos and videos in a bar at the top. Tap the ones with blue rings to see what your friends sent you. In a group, you can see everyone’s responses–and who else has seen them–in a slideshow format. Then when you’re done, just tap their faded profile photo to send a quick response. Instagram added in an Instagram for Business blog post that the same restrictions on disappearing photos and videos only being sent to followers apply to business accounts, as well. Readers: What are your initial thoughts on Instagram’s two big updates?